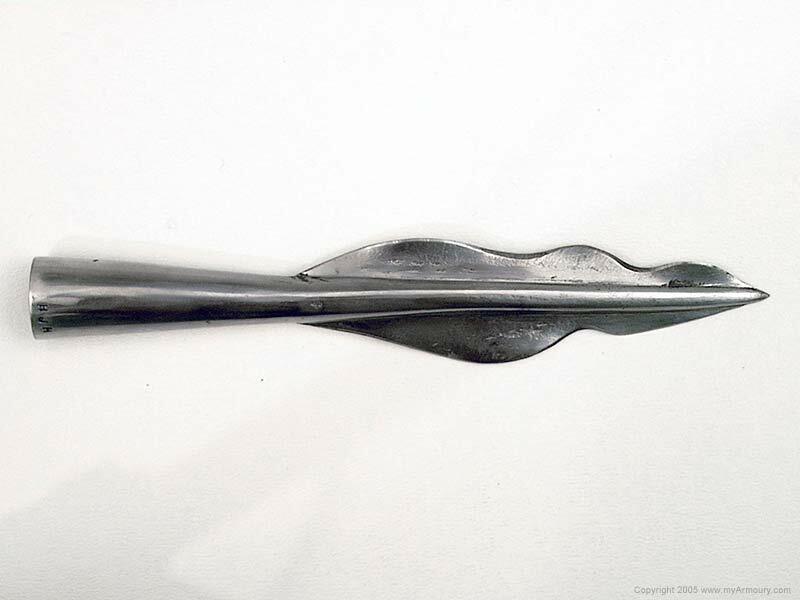 The ancient writer Polybius described that the Celts used spears and javelins with wavy and rippled blades which not only penetrated, but tore the flesh as they were used. 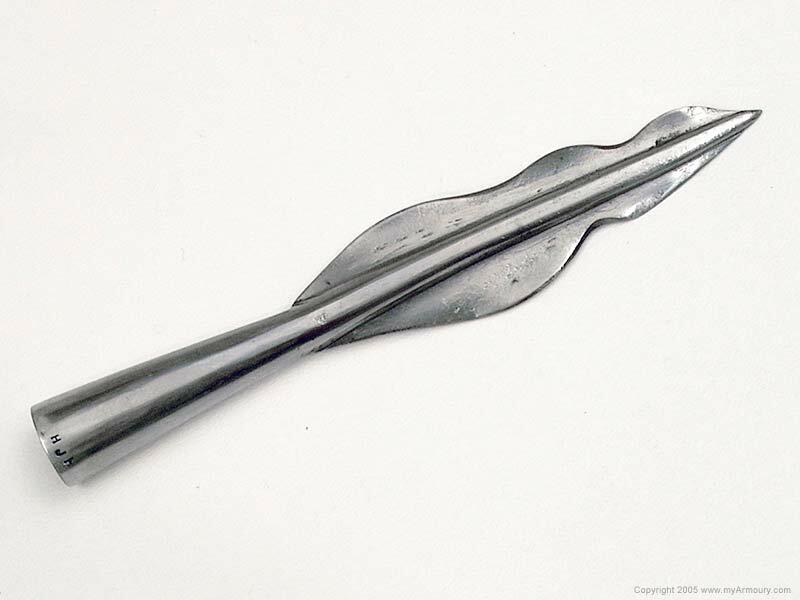 Numerous spears that fit this description have been found across Continental Europe and in Britain, including several at the site of La Tène. This piece is based upon a 1st century BC British find. 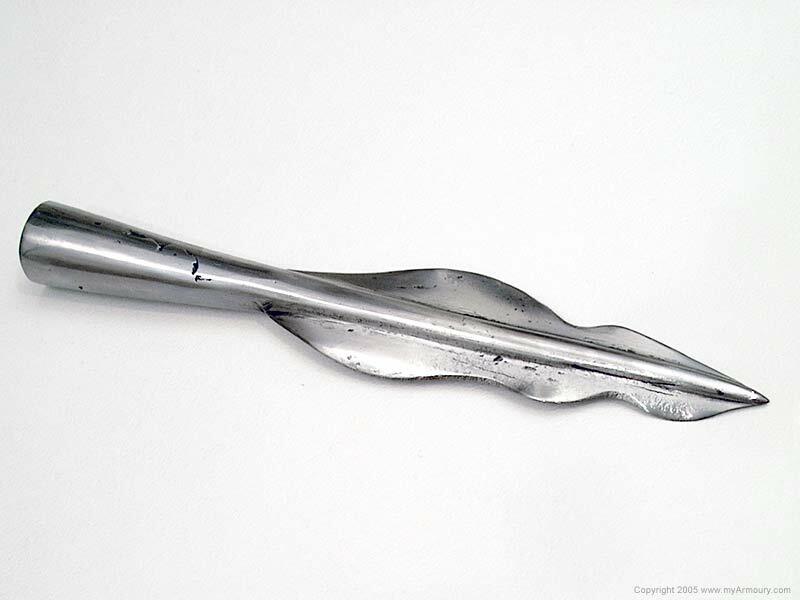 It sports a hand-forged blade of spring steel. Not only does the profile shape show flame-like curves, but the blade edge also has a subtle undulation. Maker: John Heinz of Herugrim, Inc.